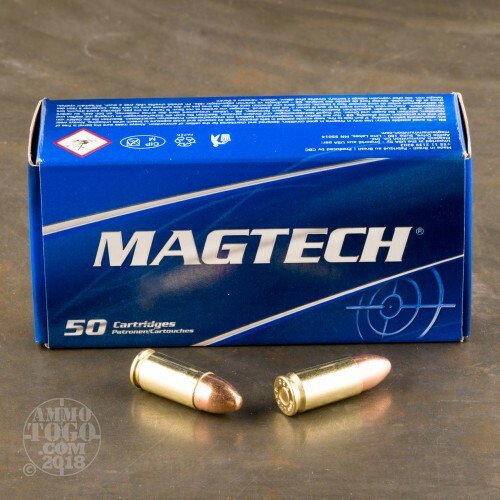 This 9mm cartridge by Magtech features a 124 grain projectile, which is the middle bullet weight for what’s most commonly commercially available in its caliber. 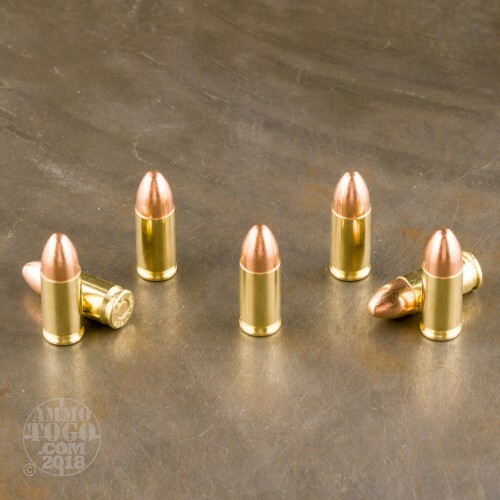 The bullet has a full metal jacket, so it will prevent rapid bore fouling and further feed dependably in your semi-automatic firearm, whether that might be a pistol, carbine, or rifle. This round’s casing is made of brass, and accordingly may be reloaded on multiple occasions. Its primer is both sensitive and non-corrosive, and its propellant burns cleanly in order to spare your weapon’s interior parts from needless weathering. 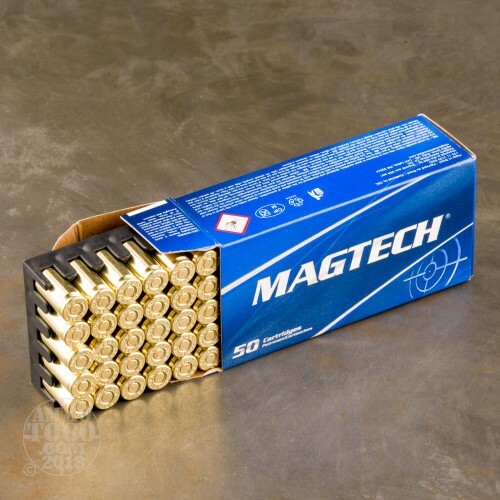 Magtech owes their worldwide popularity to their products’ quality, reliability, and consistency. They utilize state of the art engineering methods to craft their ammo, and subject everything which they produce to a strict quality assurance protocol. 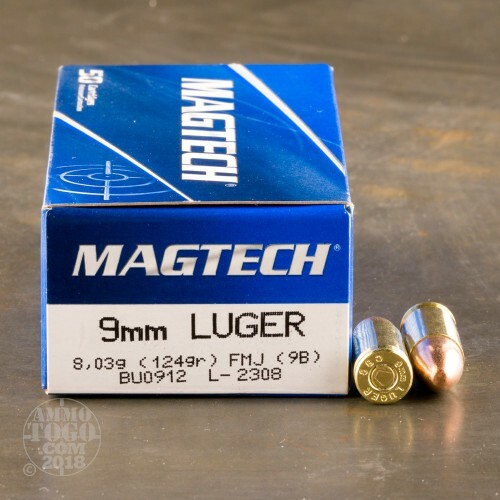 Any round that deviates from the Magtech’s lofty standard in any way doesn’t make it out of their factory -- this round is certain to serve you well however you’d implement it!